Donald Trump is scheduled to visit the border Thursday in McAllen, a city of 143,000 on the river. People who own land along the border between the U.S. and Mexico are readying legal challenges to the Trump administration's expected plan to use eminent domain to seize private property on which to build Trump's fabled Wall. “You could give me a trillion dollars and I wouldn’t take it,” landowner Eloisa Cavazos, who owns property along the Rio Grande river, told the Associated Press. The Associated Press reports tonight the Trump administration will face legal challenges from multiple landowners in Texas, and those problems aren't going to disappear if Trump follows through on his threats to declare a national emergency. One of the biggest challenges Trump's gonna run into? A Roman Catholic chapel built in the 19th century. La Lomita, which means “Little Hill” in Spanish, is the name given to a low rise in the otherwise flat Rio Grande Valley of Texas and to the ranch surrounding it. 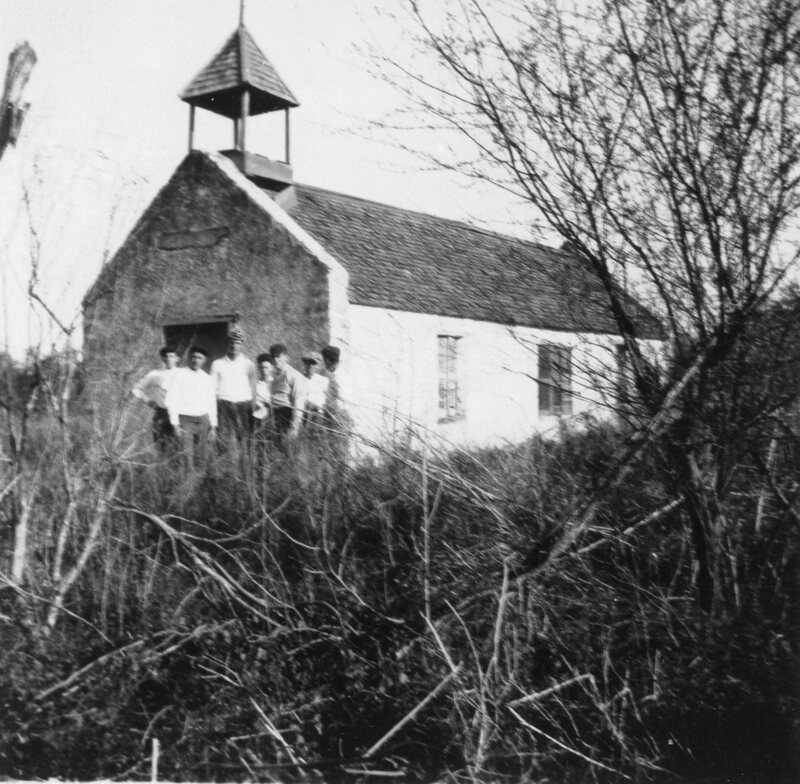 The historic La Lomita chapel is situated there, and Catholic religious activity at the site dates back to 1852. Source for the photo of La Lomita in the 19th century at top: ost.edu. Postcard view of rear of chapel at La Lomita Mission, 1910. Source: Southwestern Oblate Historical Archives, Oblate School of Theology, San Antonio, Texas.